Hand numbness wrecks havoc on my patients sleep. This book provides a comprehensive look at how I treat it so you can sleep peacefully! 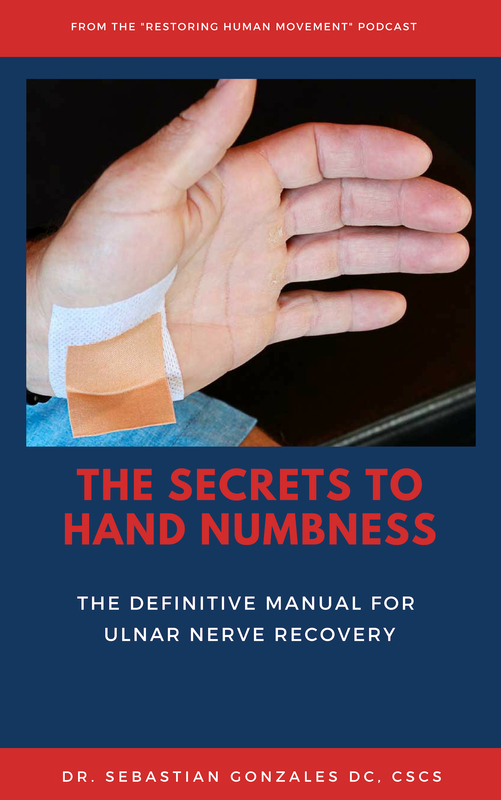 In this eBook, we take a deep dive into the issue of hand numbness, or ulnar nerve entrapment. Continued numbness of the hand left undiagnosed and untreated for more than a few weeks may trigger the process of muscle atrophy (loss of size and strength of the hand muscles), which will result in permanent disability. This is a major reason why we take a thorough look into WHY a patient’s hand numbness occurs before providing a course of action to resolve the issue. ⭐️⭐️⭐️⭐️⭐️ 5 out of 5 Stars!